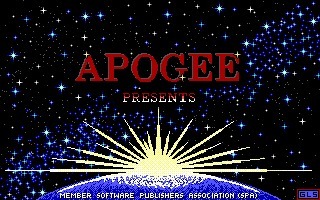 Crystal Caves is a sci fi themed side scrolling platform game developed and published by Apogee Software in 1991 for DOS. 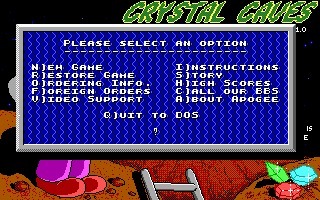 Crystal Caves is a sci fi themed side scrolling platform game developed and published by Apogee Software in 1991 for DOS. 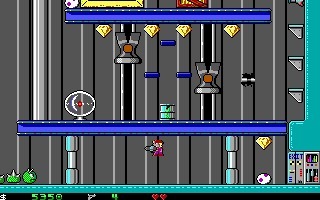 It was later ported to Linux, Mac, and Windows in 2014. It consists of three separate episodes entitled Troubles with Twibbles, Slugging it out, and Mylo Versus the Supernova. 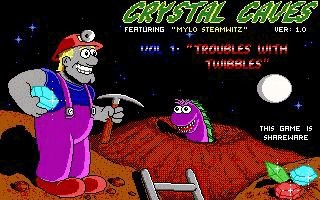 Embark on a journey as the intrepid miner Mylo who is off on a mission to strike it rich in crystals. After landing on an alien planet allegedly rich in valuable crystals, Mylo finds that taking what he came for is going to be a little harder than he thought. With various critters, enemies, and other dangers to watch out for, he’s got his work cut out for him. Mylo isn’t completely defenseless and can use a pistol to kill some enemies. He also has the ability to jump to help him dodge obstacles. 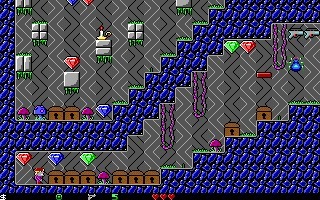 Crystals aren’t the only treasures to be found, as the levels are littered with multiple items that can provide you with points or power ups. 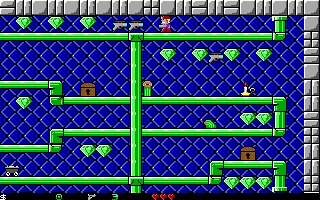 The game has no clear linear play and it doesn’t matter what order you complete the caves in. 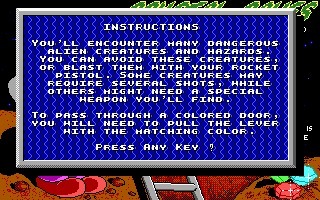 Giving you the freedom to enter and exit any cave that you want to, when you want to. 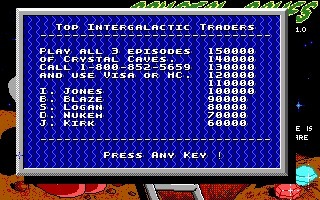 Crystal Caves did well upon release and is still a fan favorite. 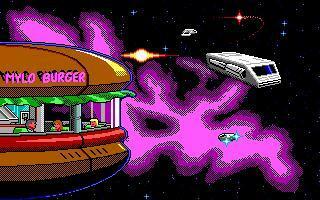 It’s a great classic platformer to help you eat up some hours. 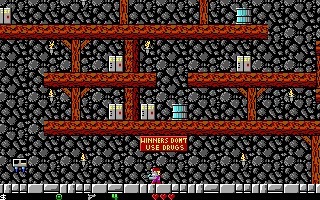 Can you make it to the end and strike it rich?